Here’s a fun story about two musicians and how they made this album. They hopped on the train and then jumped off at stops along the way to record a song – while making sure they were back on board as the train left. And yes – the music is good stuff. 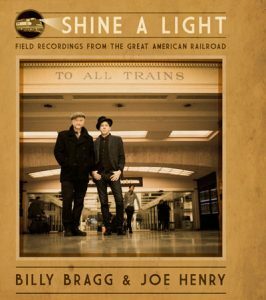 Definitely worth a listen if you are a follower of Billy Bragg and Joe Henry. Click here for more on the album.